Stop to buy bread from the supermarket. Stop buying bread from the supermarket! Do these two sentences have the same meaning? No and in this lesson I’ll show you why. Hello I’m Emma from mmmEnglish. 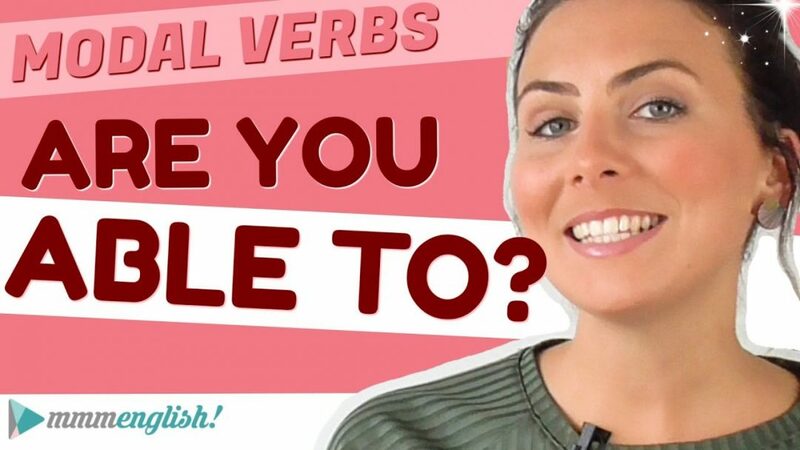 Today I’m going to show you how verb patterns can affect the meaning of sentences in English. You see, a verb followed by a gerund can have a completely different meaning than if the same verb is followed by an infinitive verb. Wow wow wow wow wow wow wow! What’s a gerund? A gerund looks like a verb but it’s actually a noun. It’s formed by adding -ing to the end of the base form of the verb. So a gerund is the base form with -ing. Listening to music helps me relax. 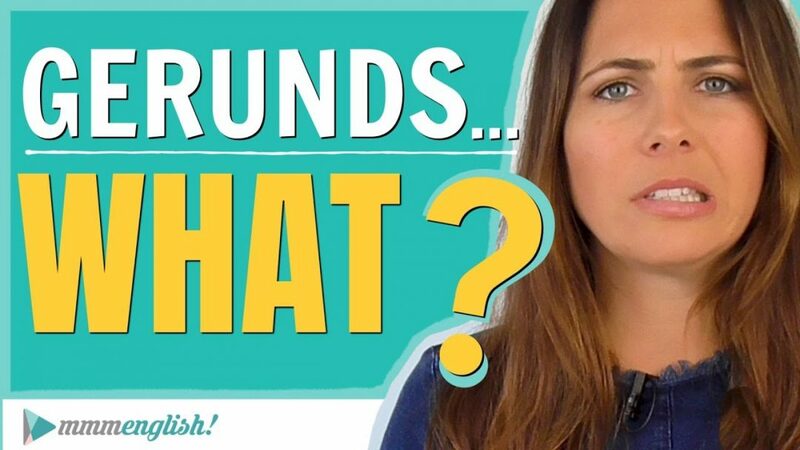 This lesson right here will explain gerunds for you in much more detail. But the infinitive is the base form of the verb. But there are two types of infinitives in English. The to-infinitive which is the verb with ‘to’. I prefer not to listen to music when I’m working. But there’s also the zero infinitive or the base form. So that’s the verb without ‘to’. Please listen carefully to my instructions. Today we’re focusing on the to-infinitive so the verb with ‘to’ and there are many, many verbs in English that can be followed either by a gerund or the to-infinitive. Now you may hear this called a verb pattern, when two verbs appear together in a sentence. Some verbs completely change meaning when they’re followed by either a gerund or the to-infinitive. So back to today’s big question. What’s the difference between ‘stop buying bread‘ and ‘stop to buy bread‘? Well ‘stop’ with a gerund means to quit an action. Stop buying bread from the supermarket. It’s an order to never buy bread again from the supermarket. Maybe the bread is too expensive or it’s not good quality but whatever the reason, ‘stop buying bread from the supermarket‘ means don’t buy bread there anymore. Since we’re talking about completely quitting an action, this is also the form that you should use when you’re talking about addictions or bad habits. Stop smoking cigarettes, it’s bad for your health! I wish you’d stop biting your nails, it’s gross! Do you have a bad habit that you know you should stop doing? Write a sentence about it in the comments below. Make sure you use the gerund form, right? Okay so there’s a quick ad break right now, just enough time for you to write your sentence before we move on to ‘stop’ with the infinitive form.’stop’ with the to-infinitive means to pause or leave one action to do another. So this is also an order or an instruction but it’s to stop at the supermarket as you go past and get some bread. So you stop the action of walking or driving by. You interrupt that action to go and buy some bread from the supermarket but then you would continue back on your journey. So let’s talk about a few more examples. Make sure you stop to talk to Sara before you leave work today, she’s got something important to tell you. I worked all day, I didn’t even stop to eat lunch! Okay, great! So ‘stop’ followed by a gerund has a completely different meaning to ‘stop’ followed by the to-infinitive. Now do all verbs change meaning when they’re followed by a gerund or an infinitive? That’s a good question but the answer is no. Some verbs keep the same meaning if they’re followed by a gerund or the to-infinitive. Let’s take a look at the word ‘start’. We start eating dinner at seven. We start to eat dinner at seven. Is there a big difference in meaning between these two sentences? Nope. So how do you know which verbs change meaning when followed by a gerund or an infinitive? Now the answer is not as simple as you want it to be. You need to learn them. You need to study, get familiar with different verb patterns and practise using them. The more you see and use these verb patterns, the more naturally you’ll start to use them. 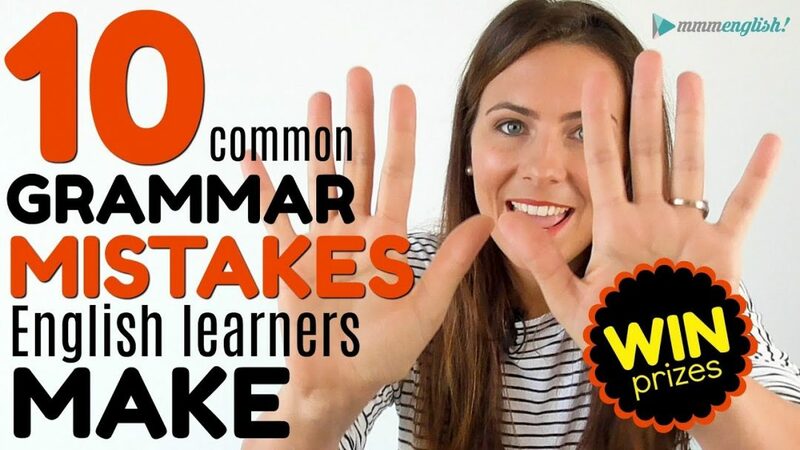 But to get you started I’ve got some more common verbs and their meanings when they’re followed by a gerund or an infinitive verb. So don’t stop watching, it’s just getting interesting! Don’t forget to watch the news tonight! Do these verb patterns have the same meaning? No, not at all! ‘forget’ with a gerund means to look back at past memories. I’ll never forget watching my first horror movie… I was so scared that I couldn’t sleep for weeks! I wish I could forget falling down the stairs in front of the whole school. So let’s try this together. Do you have an embarrassing memory that you wish you could forget? Write a sentence in the comments below so that I can check it for you. Now ‘forget’ with the to-infinitive is used to give a reminder to someone, to make sure that they do something, that they don’t forget. Don’t forget to watch the news tonight! I was interviewed on the main street today, so I don’t want you to miss it! Don’t forget to bring your tickets, otherwise, they won’t let you in to the show! Do you remember dancing with me on our first date? Remember to take lots of pictures on your trip. Do you notice any similarities between ‘forget’ and ‘remember’? ‘remember’ with a gerund is used to talk about is used to talk about a memory. I remember eating ribs covered in sticky sauce with my hands! Thanks Shah! It was really awkward I had sticky stuff coming all the way down my arms. Gross! What do you remember about your first date? Write it in the comments. Now remember with the to-infinitive is used to talk about something that someone needs to do to remind them to do something. Remember to whisk the eggs before adding the sugar. Remember to turn at the intersection, otherwise, you’ll get stuck on a one-way road. The verb ‘regret’ with a gerund is used to talk about something that you did in the past, that you aren’t happy about anymore. You know, decisions that you made in the past that you wish you didn’t make. When you wish you could go back in time and change those actions. He regretted yelling at her as soon as she walked away. He woke up with a pounding headache and immediately regretted drinking so much the night before. What do you wish you could go back in time and change? Can you write a sentence about it? Add it to the comments. Now ‘regret’ with the to-infinitive is used to tell someone bad news or something that they don’t want to hear. And this verb pattern is really formal language. And it’s always followed by bad news. So these are the words that you don’t want to hear after a job interview. I regret to say that I wasn’t impressed by the performance. We regret to inform you that you have ten days left to pay the account, otherwise, we’ll close it. We missed our bus which meant waiting six hours until the next one. Did you mean to miss the meeting this morning? So when ‘mean’ is followed by a gerund, it’s used to talk about what the response or the result of something is. Make sure you bring your jacket or it will mean getting really wet and cold. Visiting my sister in London means spending eight hours on a plane. ‘mean’ with the to-infinitive is used when you intend or you plan to do something. So when it’s used in the past tense, this verb is especially useful for excuses. I meant to call you last night, but I totally forgot! She meant to put sugar in your coffee, but she accidentally added salt. So now that you’ve had plenty of practice with gerunds and infinitives, it’s time to move on to a new lesson. Don’t stop watching yet. Try these lessons right here and remember to subscribe to my channel just down here and don’t forget to share this video using the share button just down there. Sentence Number 1. I Guess It’s Not At All Feasible And Wise Crediting The Capital By Getting The Credit On High Interest Rate. Sentence Number 2. Wise Says Less, Good And Beautiful Talking Is Always Great And Pays In Retun But Contrary To It More And Mean Talkings Is Very Very Bad. Sentence Number 3. To Pay My Credit Bill This Time I Guess I Have To Credit From My Credit Account. Sentence Number 4. To Pay My Utilities Bills This Time, I Have To Do Nessary Working In Black And White Before Hand To Check Out All Due Dates And Available Funds To Safe Myself From Any Undue Penalty. Hi Emma,I’m Cecilia and I subscribed to your channel a few weeks ago, I enjoy your videos so much and I’m improving my english so I would like to join to your grammar challenge, how can I do it?